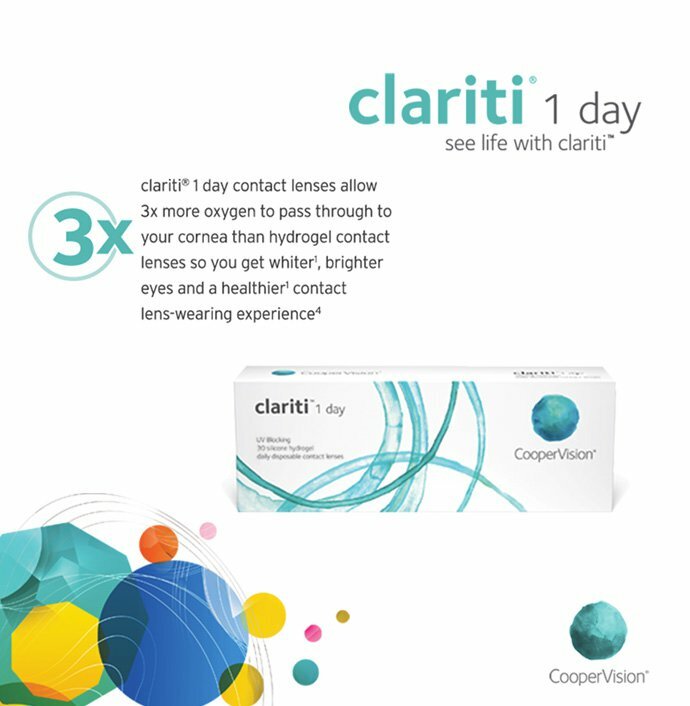 CooperVision clariti™ 1 day is the world’s first and only family of silicone hydrogel, daily disposable contact lenses. 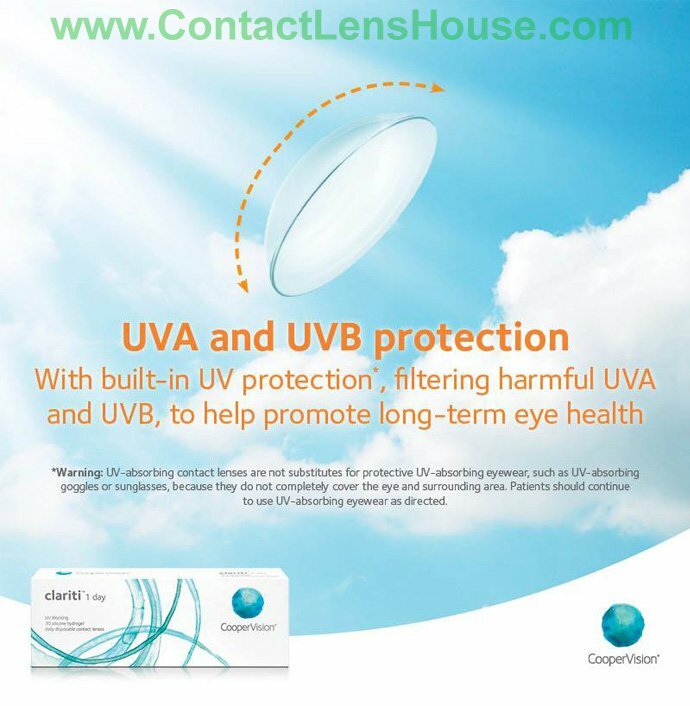 Silicone hydrogel lenses are a healthier alternative to hydrogel daily disposables. That’s because they allow more oxygen to pass through to your corneas than hydrogel lenses. Silicone hydrogel creates a highly “breathable” lens that promotes whiter, brighter eyes and helps keep your eyes healthy. 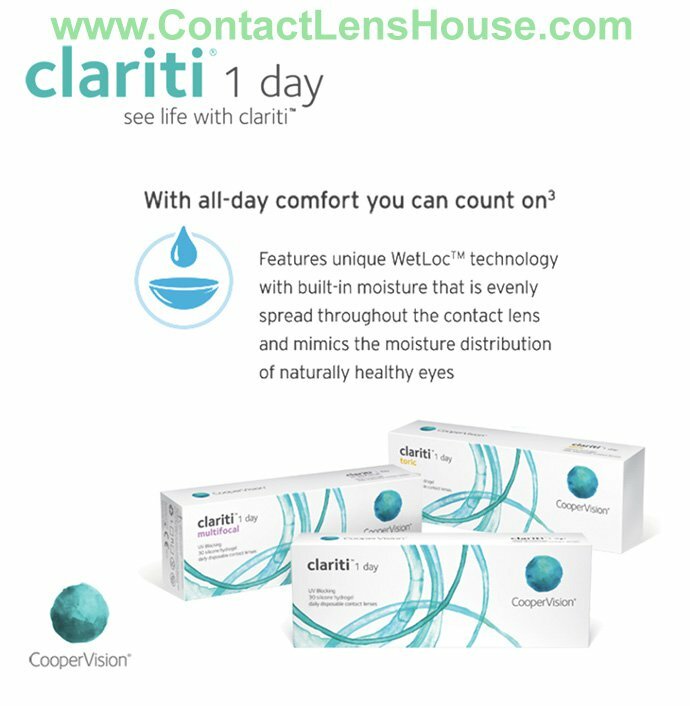 Whether you’re nearsighted, have astigmatism or presbyopia, clariti™ 1 day has you covered. 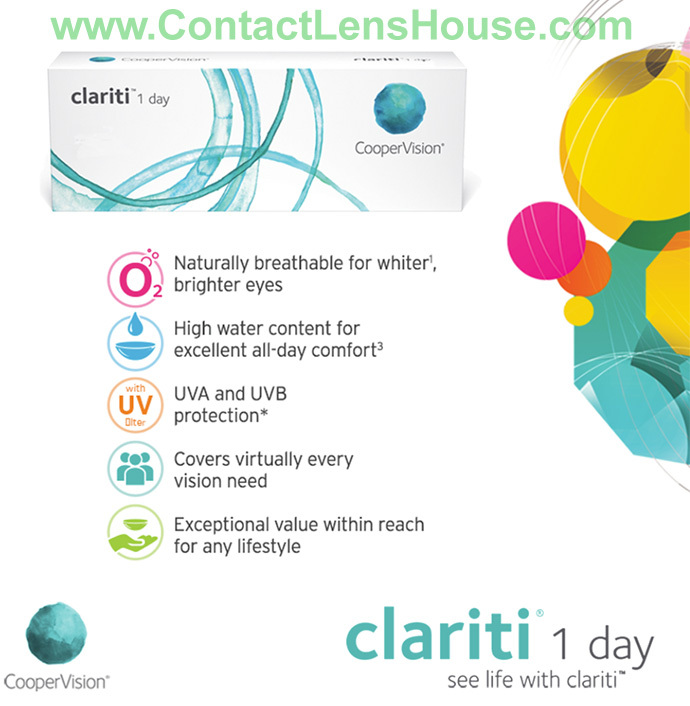 All clariti™ 1 day lenses feature high water content a key feature for comfort. WetLoc™ technology makes it possible. The WetLoc™ process creates a lens that naturally attracts and binds water molecules to the lens surface, so your eyes can stay moist and comfortable throughout your day.